Soft white skin, colorful filling hiding under a beautiful translucent skin. And so, the ritual goes, dunking it gently into the dipping sauce, taking a good mouthful to let the bold flavors explode, waking our every senses. Oh hello, welcome to the wonderful world of rice paper rolls. Over the years, I have done my fair share of rolling these babies out for parties and quiet dinners at home. Prawns and leftover roast beef have always been my protein of choice for the filling. Lay them over a bed of crunchy julienned carrots, cucumbers, spring onions, red capsicum and top it all off with the trio of herbs of sweet basil, coriander and mint. It’s hard not to salivate while patiently and gently assembling them together. Every roll has to be perfect. It has to capture your attention with just a glance before you reach out to grab one. So I wanted to inject more flavor and spice to these rolls and I thought of Larb Gai. I often feel the flavors of Larb Gai gets lost when eaten with rice. It’s time to become more intimate with the old Larb Gai. I wanted to pimp it up a little. And I’m glad I did that. They turned out beautifully. We just couldn’t get enough of them. Three bitefuls and the roll is gone. Before we knew it the whole platter had been demolished. What is often eaten as a starter has now become a main meal for us. The epitome of healthy and filling finger food. Roll over prawn and beef. There’s a hot & spicy chick mincing it’s way onto the plate. Get the recipe! Super boring. That often comes to most people’s minds when they think of salad and healthy food. Well I have a bone to pick with that. Healthy food is not super boring and super bland. I strongly stand against that notion. Fresh ingredients produce the most wonderful flavors. The less processed it is the better, not only in taste but also in nutrition. And for that, I always make sure my salad is more than just lettuce, tomatoes and dressing from a bottle. My salad is a super salad. For those still unfamiliar to quinoa (pronounced keen-wah), it is a seed which is often mistaken for a grain. Native to South America, the quinoa plant is grown mainly for its seeds and even though it lacks any natural flavor, the nutritional value is mind blowing which comes to no surprise that quinoa has been classified a superfood. So leaving it out of my diet is just super silly. It cooks like rice and has a texture similar to couscous. I have put together this simple super salad with a powerful tasty gutsy dressing. There are other varieties of vegetables that can be included, I will leave that to you. 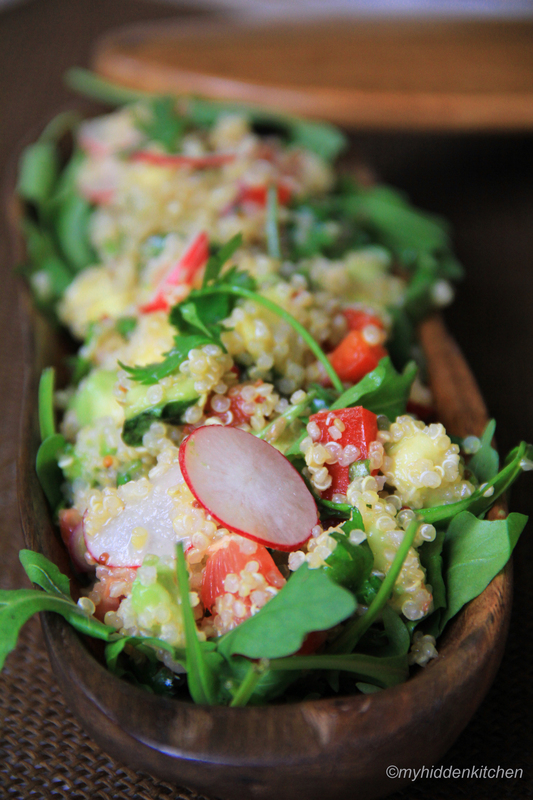 Here I have used white quinoa, but you can always use red, black or tri-colored ones. Cholesterol free and gluten free, it’s no wonder why they call it a superfood. Just super. Get the recipe! 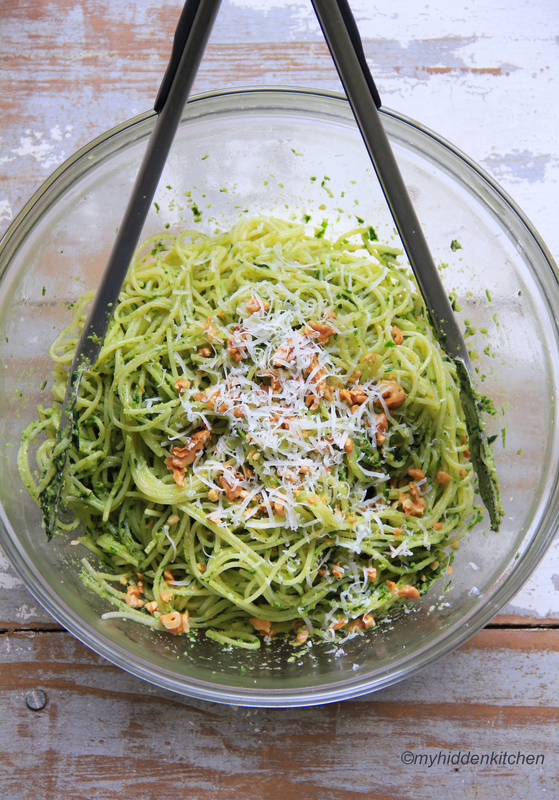 Master this Basil Walnut Pesto Pasta. I’m almost ashamed to put this recipe up because it is so simple but it’s ridiculously good and quick to prepare. No fuss, no mess. So you know what that means, less washing up, happier cook. Which certainly ticks a lot of boxes for me. The walnut pesto is so decadently rich and velvety, each mouthful leaves you wanting for more and with ingredients that are packed with nutrients it feels good to indulge yourself. I want to slather it on everything. Toasted bread, crackers, maybe even carrot sticks. But the masterful stroke and ultimately the key to keeping this pesto vibrant is Italian flat leaf parsley. Not only does it prevent it from darkening but it adds a lovely fresh dynamic to the flavor. So if you are short for time or feeling a little lazy, think of this pesto; it will make ’em go crazy. Get the recipe! 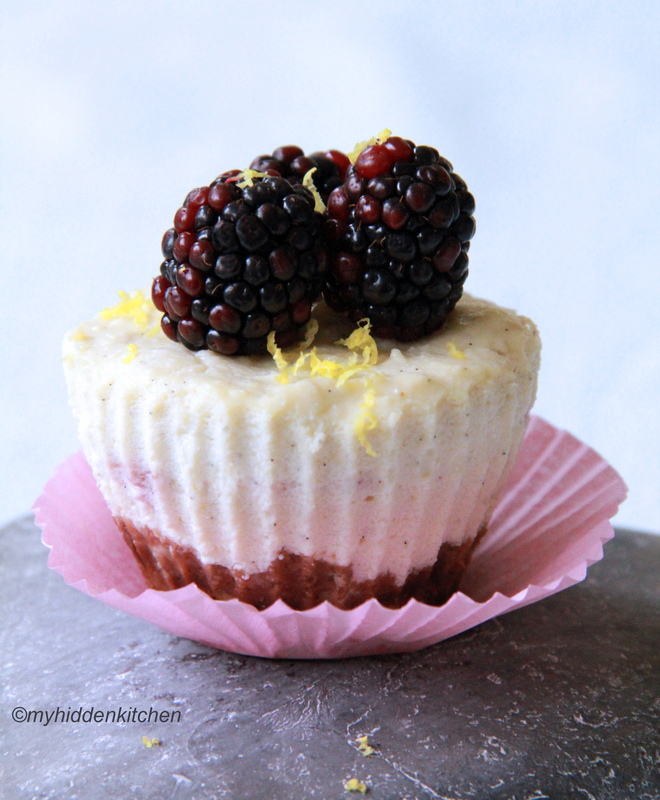 This was originally a long write-up about how pleased and ecstatic I was upon discovering this delicious honey ricotta mini cheesecake. But I have shrunk it down to this. Smaller in size. Much less fat. Half the guilt. 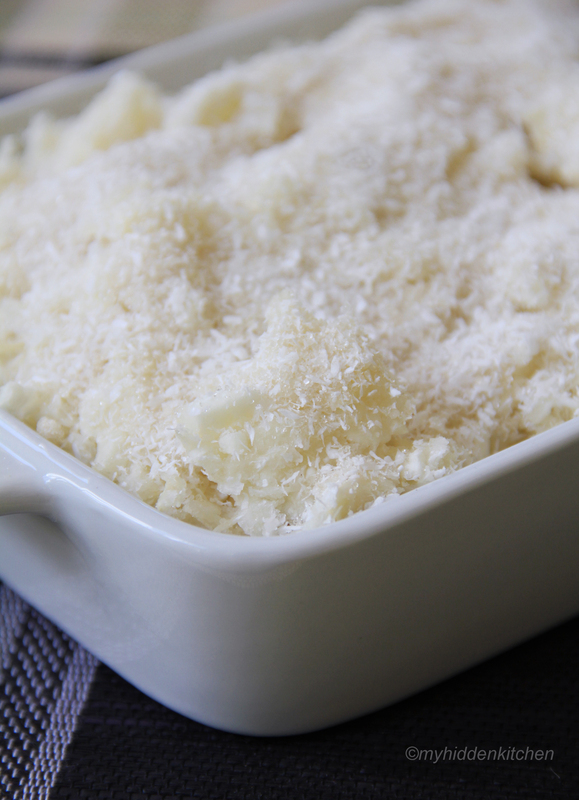 The ricotta gives it a lighter texture while staying true to the authenticity of a cheesecake. So why is this article so short? Because I’ve trimmed out the fat. Get the recipe! I have always practiced healthy living. A healthy and balanced diet is my up-most priority. Fresh food only has always been my policy. No processed meat is ever allowed in my kitchen so no ham, bacon, salami, hot dogs, store-bought nuggets and even sausages have been banned. Super supreme pizza is never my cup of tea, I can never bring myself to eat it and can’t imagine I ever will. No sodas or sugary drinks can be found in my fridge. I want to feel good about what I’m cooking and eating. I owe it to my body. Eating healthy is not just about salads, sandwiches and soups. The choices and possibilities are endless. As you can see I have always tried to share healthy recipes here on myhiddenkitchen. This lentil stew is one of my favorites. Served with mixed nuts pilau rice or roti, it makes the complete meal. You will be so contented that no meat will be missed. This I promise you. 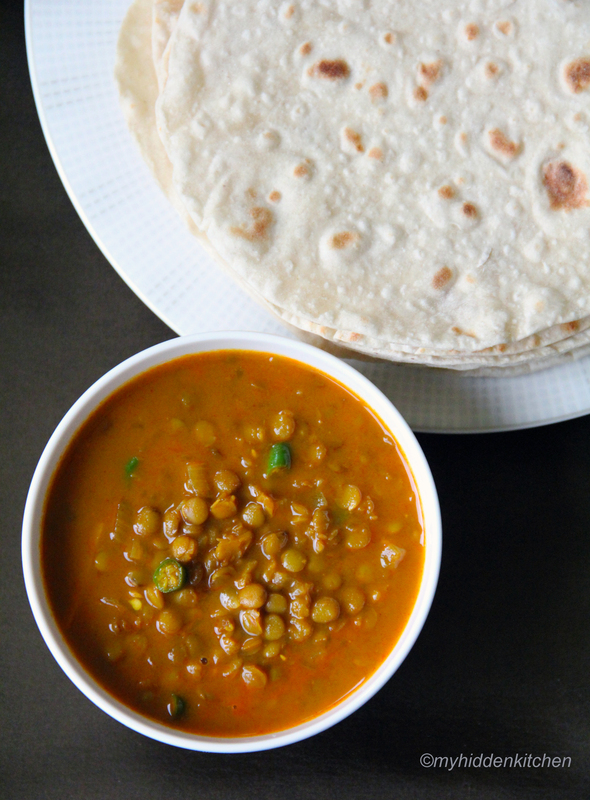 Lentils are high in protein and fibre. Ranked third-highest for protein in any legumes and nuts, so how could I possibly turn my back on it any longer. What to do with it is the tricky part but thankfully its neutral flavour makes it easy to exploit with an arsenal of basic ingredients. This recipe is fresh, tangy and has a good hit of spice, so I urge you to embrace this simple and humble dish with an open mind and an open heart. Because for myself and all those years wasted, I’m finally becoming best friends with what was just an acquaintance. And when I look back now, I must have been mental as anything to have overlooked such a fulfilling vegetarian classic. Get the recipe! Kim Tiger. That was his name. The moment I shook his hand, I was in love. He must have thought I was flirting with him as I could not wipe the smile off my face. I was in love indeed. With his goods. Kim and his wife are the owners of a Japanese/Korean restaurant and supermarket right next to each other. A Japanese/ Korean supermarket right here in Nairobi? I couldn’t believe my luck. Like a kid in a candy store, spoilt for choice. And with Kim right by my side, helping me out with the translation on the packets, he made the whole experience even sweeter. Now, enough said about Kim and his packaged goods. Let’s talk about my other love. Japanese food. The cuisine is what makes me want to go to Japan and when I do I will be in food heaven. What attracts me most to the cuisine is the amount of respect for the ingredients, not having to do much and letting the natural flavor shine through. Only the freshest of ingredients can do that. The result of that, I always feel rejuvenated and refreshed after a Japanese meal. My favorite sushi has got to be the Inari sushi. Perfect example of less is more. Seasoned fried tofu skin and rice tucked inside. The subtle sweetness of the tofu skin is what is so addictive about it. Here I used brown rice and a mixture of grains such as barley, black glutinous rice and other unidentified grains. I bought a premixed packet so you might be able to get it from a Japanese grocer near you or choose not to include it. You could also add shiitake mushrooms and spring onions. The choice is yours. Get the recipe! 50 recipes. I never knew I had it in me when I started this blog. So I would like to make this post special. This recipe is close and dear to my heart. The only person who have made this for me was my late grandmother. A humble recipe using very humble ingredients but it has so much meaning to me. A bite of this took me back to her kitchen where we sat by the dining table, sipping on our hot cup of tea and coffee, sharing our stories while nibbling on freshly made gerowol. Gerowol is its name in Javanese which basically is steamed cassava with coconut and sugar. It may not sound very exciting but the proof of the pudding is in the eating. When I made this, I had it almost the entire day. I kept going back to it. But I wished I was at her kitchen sitting at that dining table and sharing it with the people who would enjoy it as much as me. You can never turn back time but memories live within you for a lifetime. An homage to my beloved late grandmother. She will always be the inspiration behind my cooking. And I hope I have done her proud. Get the recipe! Fish tacos in Zanzibar? Not what I expected. A very delicious one at that. That’s right, I had my first fish tacos in Zanzibar at the famous Freddie Mercury’s Bar & Restaurant. Healthy, fresh, light and full of flavour. It was the perfect choice on a hot Sunday afternoon. I’ve always taken interest in Mexican cuisine but authentic Mexican food is hard to find. What most of us are familiar with is the Tex Mex version. Dry taco shells filled with minced beef, beans, sour cream and loaded with lots of cheese. 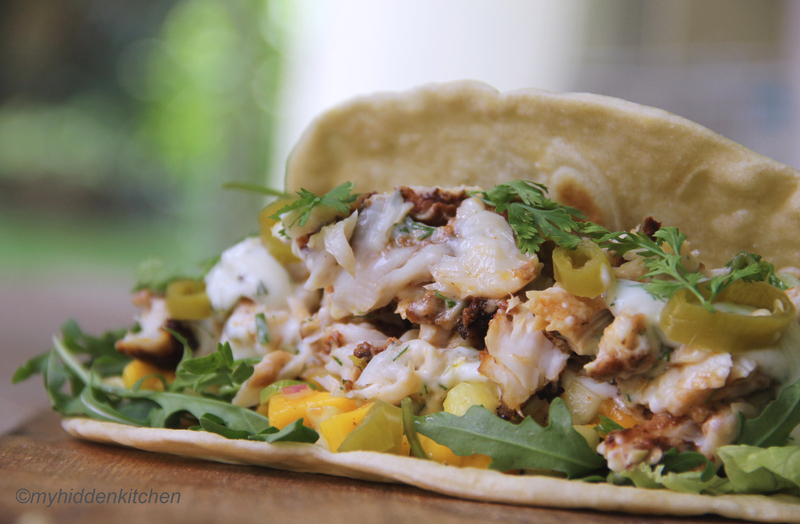 I much prefer soft tacos, freshly made tortillas stuffed with beautiful fresh ingredients. When I think of Mexican food, ingredients like fragrant coriander, crunchy corn, fresh lime, plump tomatoes, creamy avocados and mouth watering jalapenos immediately comes to mind. Wonderful flavours that I absolutely love. Get the recipe! 1000 guests. 3 events over 48 hours. This is what a Malay wedding is like. And dare I say my wedding was nowhere near a full-scale Malay wedding. This may shock my non-Malay readers but a Malay wedding is all about extravagance. Even our butcher got invited! Can you imagine? Although I did find out he is a distant relative. There is no concept of headcount when it comes to a Malay wedding. The more the merrier, leaving an acquaintance uninvited is a big no-no. Read more & get the recipe! 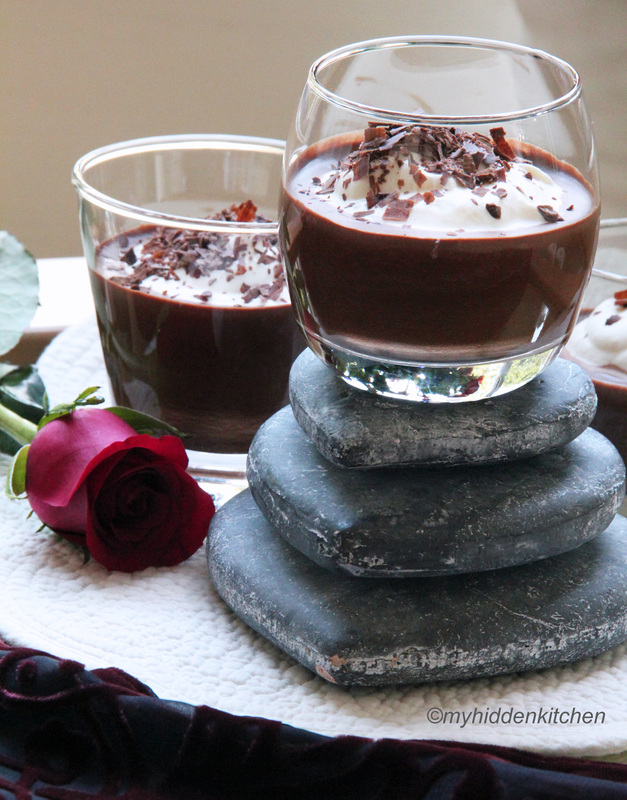 2 Ingredient Chocolate Mousse, What Not To Love? Ah…Valentine’s Day, is only 2 days away. And when you think of Valentine’s day, you think of flowers, chocolates, chocolates and chocolates. If you are planning to impress your loved one with a home cooked meal, this 2 ingredient decadent chocolate mousse will definitely melt your partner’s heart. Chocolate, water and 15 minutes. That’s all you need. I was skeptical at first but after my trial run, I was completely sold. This is my first ever homemade chocolate mousse and I have had 3 glasses of it this week alone. I’ve never been drawn to making chocolate mousse before because of the amount of eggs and sugar that goes in it. But with this recipe, you get the authenticity of the chocolate and for that, I’ll be making batches and batches of them in the future. Just remember, because it only uses chocolate, a good quality dark chocolate is imperative. It is known in Vietnam that most people prefer to eat out especially if Pho is what they’re after. Due to the long hours and tedious process of brewing the soup, the former is much more appealing. And with Vietnamese restaurants pretty much a non-existence here in Nairobi, I’m willing to slave for my bowl of Pho. 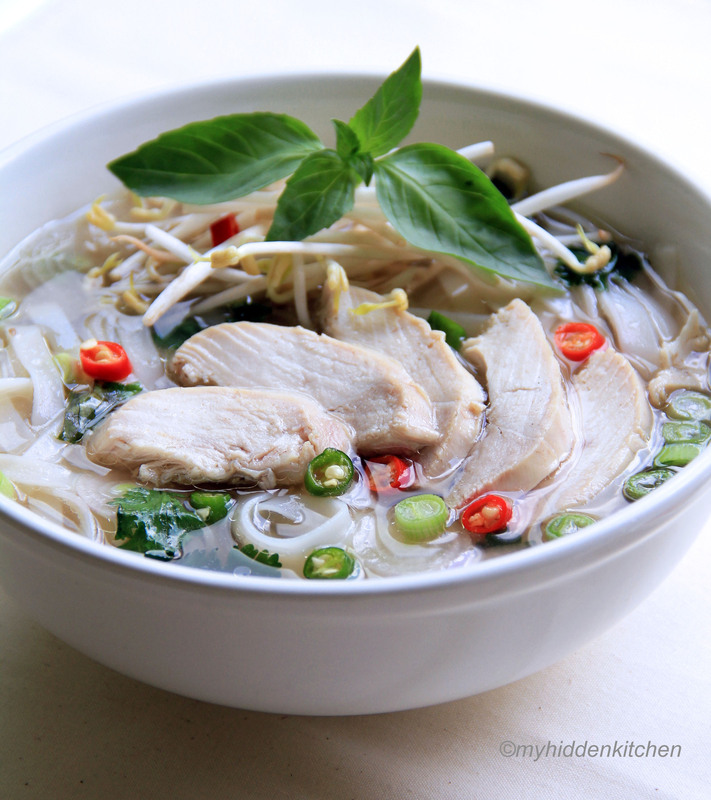 Pho is Vietnamese noodle soup that consists of meat which is either chicken or beef. Pho Ga which is the chicken version has a lighter clearer soup while Pho Bo the more famous beef noodle soup has a slightly darker heavier soup. Both served with sweet basil, raw bean sprouts and a slice of lemon. The sweet basil gives it the extra freshness, the bean sprouts adds some texture and crunchiness while the piquancy of the lemon refreshes the palette with every mouthful. When I think of my top five noodle dish, Pho is definitely up there. There is a saying in this household, consume broccoli 3 times a week and we are 1 step closer to preventing cancer. 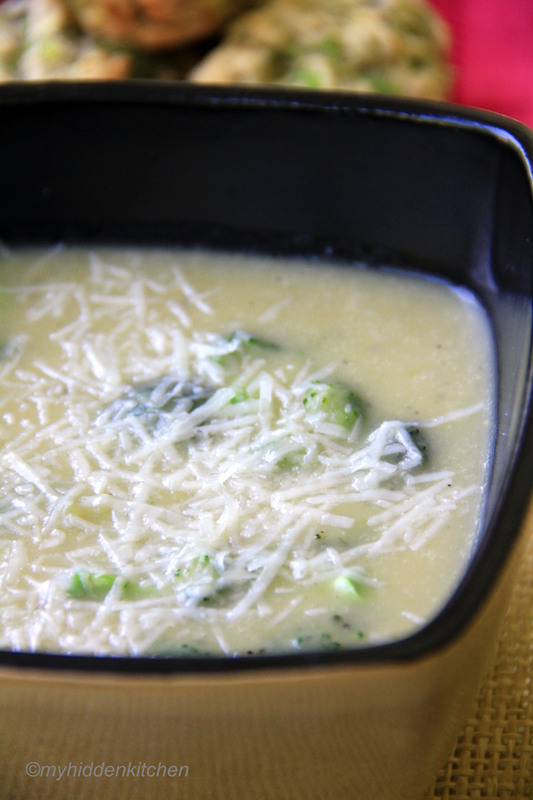 Broccoli has always been regarded as one of the super foods for both men and women. For men, it has been shown to retard the growth of prostate cancer while for women, it helps to fight against breast cancer. So, the question is, are you diligently including broccoli in your daily diet? When I’m down, don’t bring me a box of chocolate. Cheer me up with a good piece of chocolate cake. Since moving here, I have yet to find a decent piece of cake. Yes, I know, I am fussy with my cakes or shall I say, I am passionate about my cakes. Especially with chocolate cakes. It has to be moist, dense with a level of chocolate goodness that will make my head spin. When I made this cake last week, I was in the middle of my pre-Christmas diet. I’m into my fifth week now but all those steamed chicken breasts and salads made me crave for a quick sugar fix. And I’m not one to reach for that bar of chocolate, the idea of making an entire cake seemed more appealing. Get the recipe! The frustrating thing about moving to a foreign city is finding out what food supplies are available to you. The variety of Asian ingredients are limited here in Nairobi but I never lose my cravings for Asian food, I make do as much as I can. And the one thing that I cannot live without is, of course, noodles. I must admit that I am quite pleased with the selection of noodles that are available here. Limited but enough to satisfy my crazy noodle fetish. Get the recipe! The guilt. It has been almost a year since my last post and I must admit, I have been dying to get back to it but circumstance have not allowed me to. Gosh so much has happened this year. The most exciting part though is that now we are residing in Nairobi, Kenya. It’s coming to 7 months now and looking back at all the hard work of packing up our Sydney house, shipping and many other logistics which I’m not going to go into, I’m glad we are finally settled in our new lovely and cosy home. So as you can imagine, starting your life at a new place, everyday is still about adjusting. Get the recipe! Aren’t we always looking for a healthier alternative for our sweet delights? I know I am and being a self proclaimed fruit enthusiast, I always try to include fruit in my baked goodies and let the sweetness of the fruit shine. And you get just that with this fruit combo. After bursts of blueberries, you are comforted with the subtle sweetness of the pears. This muffin is so light and fresh, that I dare to have 2 at a time without any second thoughts. A pearfect combination that both adults and kids will find berry nice. Ha, pearfect…. no? Oh come on! Get the recipe! If you haven’t had Soto Ayam, you don’t know what you are missing. I cannot live without it. When I was preparing to leave Singapore, this was one of the recipes I made sure I got off my mum. Soto ayam is spicy chicken broth which originated from Indonesia but has since made its mark across Singapore and Malaysia. The broth can be served with rice cakes, vermicelli or yellow egg noodles. Topped with shredded chicken, bean sprouts, coriander leaves, fried shallots and paired with begedil (potato cakes) and sambal kicap (spicy black sauce). There are many versions to this well loved dish but this is the version that is most popular in Singapore. Get the recipe! There is something about meat on a stick that excites people. Especially kids. You can put anything on a stick and kids will get interested. Once in the fish shop I heard the guy say, “if you can’t get your kids to eat their marinara mix, just put them on a stick”, hey I’m going to agree with you there old fella. I have seen kids get excited over food on sticks. Not sure if it’s the safest thing for them to be eating their food but I have to agree with the guy. When I was a kid, I loved my meat on stick. Juicy, tender, sweet and full of spices. That’s right, I am talking about satay. Favoured by millions back in Singapore. Read more & get the recipe! The good old pound cake also known as the Fuss Free cake. With no icing, cream or topping, this cake is exposed to any imperfections. A cake so simple and basic but yet at times people just can’t get it right. Soft and moist is what I look for in pound cakes and I cannot be more pleased with this pandan pound cake. 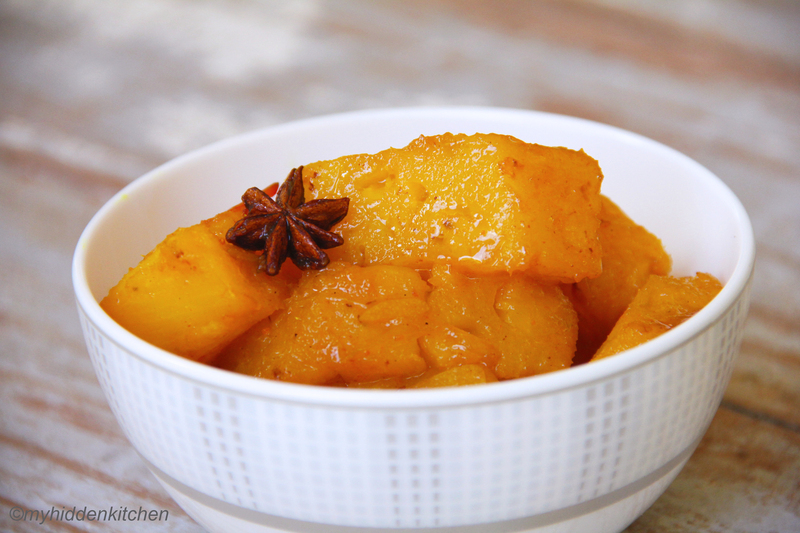 It has the perfect balance of buttery sweetness and the coconut milk gives it an extra oomph! The perfect humble cake for my cup of tea, that is for sure. Get the recipe! It is always nerve wrecking when I attempt a recipe for the first time. 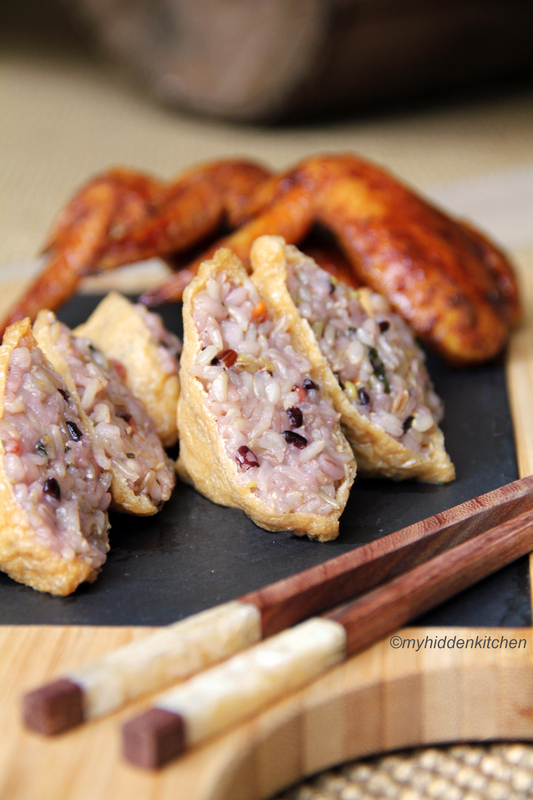 I woke up one morning and had the sudden urge to recreate this iconic Malay chicken dish. After a quick trip to the shops, I confined myself to the kitchen, immersed in the preparation. The aroma of the spices was simply mouth-watering and I knew I had gotten it right. The hardest part of the process was the wait and I then decided to make tomato rice. The pair up was perfect. So if you are in the mood for a very tasty and flavoursome chicken with a kick of spice, look no further, this chicken dish will do just that. Get the recipe! Recently I made some friands for a friend’s birthday do. I wasn’t sure how many hearts I would win as I would be presenting them to a group of Australians who definitely know how good their friands are. Thankfully, they were loved beyond my expectations. My love affair with friands started a couple of months back. After years of witnessing my mother in law indulging in these dainty little cakes, I finally told myself I had to give them a try. I was totally smittened after a bite. It was so tasty and moist, dense but not rich, impossible to stop at just one. So my search for the best friand recipe began and I am contented with this one. Read more & get the recipe! There is no easy way to replicate my mum’s dishes but to have a go at them several times. After each attempt, I always find myself looking for the imbalance or imperfections to the dish. Recipes are passed down from generations without actually having any of the recipes in sight. All from memory, instincts and senses to achieve the perfect balance. This salad is no different. All I had was the list of ingredients, the quantities are all based on my own judgement. Read more & get the recipe! If you ask me what food I miss most back home, the answer would be noodles. From the diverse races and cultures you get a good variety of noodle dishes available to you around the clock. From the spicy mee goreng, creamy Laksa and light slice fish noodles, the choices are never boring. Even on a hot and humid day I would love nothing more than to slurp on my bowl of hot noodle soup. Read more & get the recipe! Why oh why have I never tried Puttanesca sauce before. This will officially be my favourite tomato sauce pasta. To be made with fresh tomatoes, but I used canned ones here after realizing I did not have fresh ones but the taste is good enough for us. Traditionally this pasta dish uses spaghetti, but we both were not in the mood for some spaghetti so I made two versions, fettuccine for myself and rigatoni for my husband. And having tasted both, I must say it worked better for the fettuccine. The sauce wraps itself around the pasta, satisfying every mouthful. Get the recipe! This is the latest craze in our household. We simply cannot get enough of them. We eat them for breakfast, afternoon tea and even as late night snack in bed. Since I have never been a fan of spreading butter, cream or jam on my scones, I always make ones that are good to be enjoyed on their own. With a hot cup of tea of course. Read more & get the recipe! When I’m into something, I can eat it daily, for weeks until I get bored with it and the obsession stops. Once, I ate chicken rice for lunch everyday for almost 3 weeks. There is something about it that makes me crave for more. If you want to cook your own chicken rice, be prepared to be in the kitchen for an hour or so but trust me, you will be rewarded with the tastiest rice, moist poached chicken, crunchy Chinese broccoli and the star of the dish, the garlic chilli sauce. Simply delicious. It’s my one meal wonder. I love to cook a large portion of it so I can eat it for lunch, dinner and breakfast. Read more & get the recipe! There is something about having a cold dessert on a cold day. I can’t take the cold very well and with all the rain that we have been getting in the past weeks, I hurry myself to my preheated bed as soon as dinner is over. Despite that, I often find myself craving for my big cone of ice-cream or a good scoop of gelato, on a freezing cold day and with Spring in the air, I have a huge desire to make berry coulis and drizzle it on everything. Read more & get the recipe! Spicy, check. Sweet, check. Sour, check. Finally I have found the perfect combination to pair up with this spicy chilli chicken. I have cooked it lots of times before and have always wanted to pair it with corn bread but the thought has always slipped my mind. Until one day when I was at our veggie grocer and I came across cornmeal flour. I grabbed the bag, got some chicken thighs and the rest of the missing ingredients. And with the mangoes I had at home, I knew I was on to something good. Read more & get the recipes! Lesson learnt. Never bake anything without knowing the oven temperature. I should know this rule. I do know this rule. But excitement got the better of me last week when I wanted to bake a lemon chiffon cake. It was such a shame because as I was folding the egg white mixture into the batter, I knew I had a good cake on hand. After being away from my kitchen for 3 weeks, I was excited to get back to baking. And even though I had discovered the oven knob had come off in my absence, I thought as long as I can get the oven to heat, it will be alright. I think you can imagine what failure unfolded. What I was thinking? Read more & get the recipe! In the last two weeks I have been filled with excitement as I prepare for my first trip back to Singapore since my move to Sydney over a year ago. I am looking forward to seeing family and friends in the next three weeks. But the most important event and the reason for my visit is Eid which will be celebrated on Tuesday. So while I reconnect with beloved family and friends whom I have missed tremendously, this space will be missing its frequent updates till I get back. 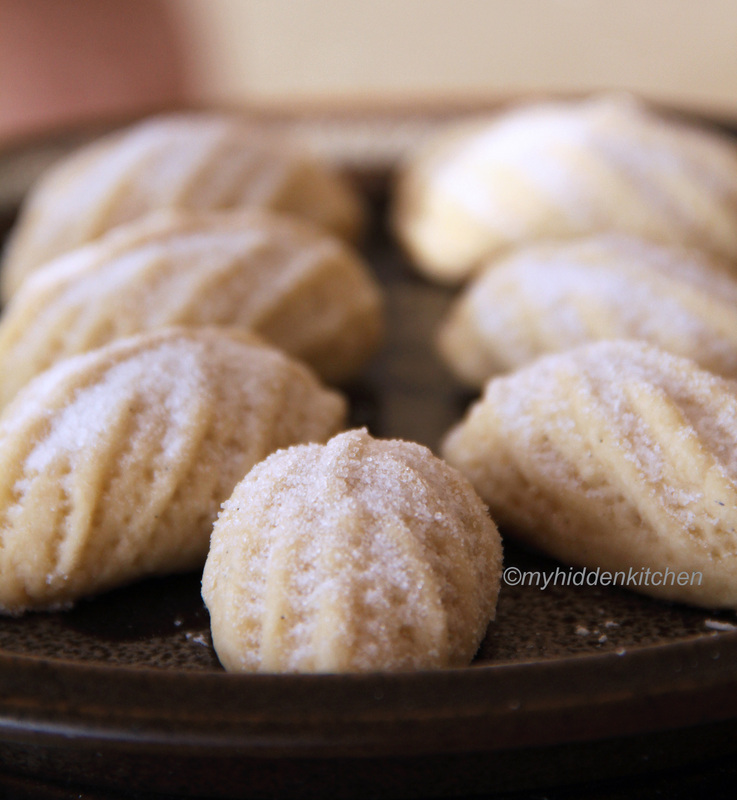 In true spirit of Eid I leave you my dear readers and supporters with the most iconic Indonesian/ Malay dish and one of my favourite classic Malay cookies. This time of the year is the most exciting for us Muslims. As we are approaching the end of Ramadan, preparations for Eid begin. New traditional costumes such as the kebayas and baju kurung are a must as we welcome Eid. Our houses are nicely decorated with new curtains and some with new furnitures. Every member of the family will be given a task, everything is pretty much a family participation. But what I love most is the food. Preparation of baking the kuehs, which are our little sweet delights and cookies, takes place a couple of weeks in advance. Special savoury dishes will be prepared a day ahead and lontong or ketupat, which are traditional rice cakes, will be boiled in huge pots for eight hours. It is our tradition to serve our guests with delicious food and kuehs. And for a huge family like mine with countless number of relatives, our Eid celebration goes on for about two to three weeks, so you can imagine the amount of yummy food we would consume during that time. When I go visiting, I love to raid the kueh platter that is often laid out on the coffee table. You have spreads from cakes, biscuits to interesting local chips. As we reconnect and immerse ourselves in conversations with one another, we are always accompanied with these goodies. Read more. When you mention Rendang, the reaction you get are oohs and aahs. There is no doubt that it is well liked and one of the most popular Indonesian dishes. The tenderness of the meat with the richness of the sauce. This dish is so full of flavour that it is hard not to love it. But in my years of eating Rendang, I still prefer my family’s version. It is not oily like most and can be easily enjoyed. But this extravagant dish is a special dish that only makes its appearance once or twice a year. We will only have it during Eid along with the other special dishes eaten with steamed rice cakes. I will share these dear family recipes here in the near future. Read more and get the recipe! Today the 21st August 2011 marks the first Cook and Share a Curry day. This friendly campaign started in Singapore and in true spirit of Singapore I made sure I did not miss out. And if I was going to participate, I was going to cook a new and authentic Indian curry recipe. This North Indian Fish Curry is authentic fisherman’s fare from the villages of that region. I wanted a fish curry that does not use coconut milk. I was after that sour flavour which usually comes from tamarind juice but in this recipe tomatoes are used instead which really got my attention. I have never cooked curry this way before and I was pleasantly surprised at how easy and simple it was. And the taste definitely did not disappoint. Unlike most curries I’ve eaten, this one is light and refreshing. I could not get enough of the gravy. Read more & get the recipe! I love gardening. I’ve become obsessed with collecting seeds from the fruit we eat and sticking them into some soil and wait. At the first sign of germination, the feeling of joy is like no other. It has been a year now since I started my gardening exploration and I’m fast running out of space for my new growths. When we got our lemon tree, last Spring, I was thrilled. As I use lemons on a daily basis, I was looking forward to what this little tree could provide. For it’s first year, it produced about 5 lemons which I was happy with since it is quite a small tree. And with the lemons, I managed to produce these lemon bars. So if you’re a lemonholic like me, I hope you give this a try. These lemon bars are so refreshingly zesty, every bite leaving you wanting for more. Get the recipe! We get a lot of pelicans where we live. I always look forward to counting them as we are crossing the Narrabeen bridge where they sit on the lamp posts. Sometimes I wonder if I was a pelican in my past life. I’ve surely eaten enough fish to at least be taken under their wing. When my grandma used to fry them, fish not pelicans, I would wait patiently with my plate of rice with sweet soy sauce drizzled all over it. I don’t need anything else. Just my fried fish and rice, and I’ll be contented. Two of my favourites are Tuna and Mackerel. I grew up eating these. Growing up in a super packed household with all my Uncles and Aunties, we had to share everything and there was no such thing as going back for seconds. So that was how I began to appreciate everything I had. Read more & get the recipe! Everyone’s favourite. Just let your fingers do the walking and half an hour later, your dinner is sorted. It is no doubt one of the most popular convenient food. I like mine with as least meat as possible. Much prefer the vegetarian or seafood version on thin crust. It’s not as heavy and filling just so I can eat more. I must admit I am very fussy when it comes to my pizza and that is when I decided to make my own. Read more & get the recipe! Onions are like backup singers, never in the limelight. They are often the backbone of a dish but seldom the star. Apart from onion soup, which I love, I have not come across other famous onion dishes. So I began searching for my next onion dish and I am totally smitten with this onion tart. This is by far my favourite savoury tart. My mum used to tell me onions add sweetness to a dish so you never stinge on them. This tart is true evidence of that, the sweetness of the onions really shines through here and after a slice you will be asking for another. So if you love a savoury tart, look no further, give this humble onion tart a go. You will not regret it, I assure you. Get the recipe! These little balls of delight are easily many people’s favourite back home in Singapore. Pop one in your mouth and on your first bite, you’ll get a surprise burst of melted palm sugar. I love the texture that the desiccated coconut provides against the chewiness of the balls together with the sweetness of the palm sugar, is just perfect. Read more & get the recipe! I don’t know about you but I’m not into a tomato base pasta sauce. Bolognese is not my favourite. I can’t remember when was the last time I had Spaghetti Bolognese. I prefer to use fresh tomatoes for my sauce, they offer a much fresher taste than their canned relatives. I like my pasta dishes to be light, fresh & dry. The sauce lightly coating the pasta, more of a Aglio Olio fan. Read more & get the recipe! 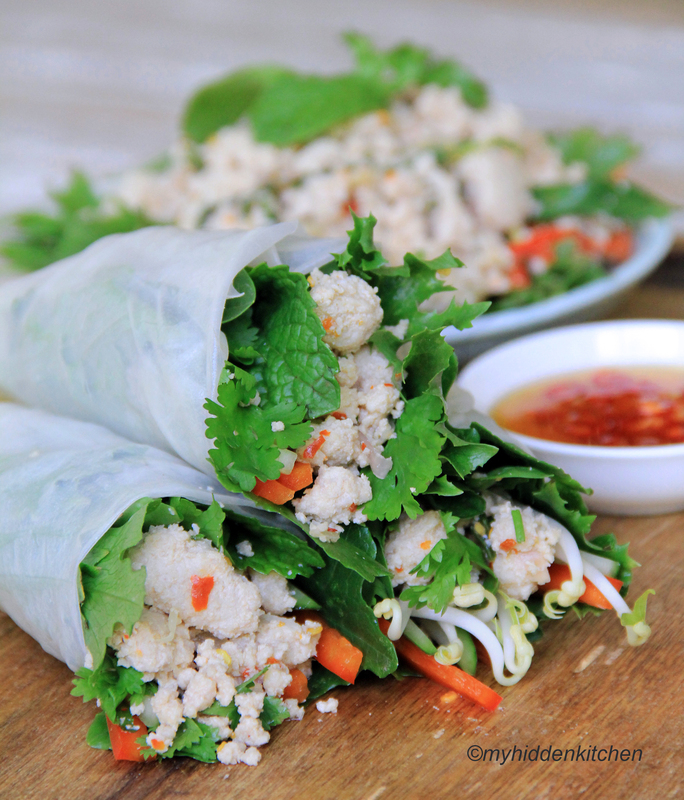 Crispy skin, tasty crunchy filling, that’s what makes a good spring roll that we all love. When dipped into sweet chilli sauce, it’s even better. Nothing else needs to be said about spring rolls. Here I would like to introduce the mini version. For those of you who are unfamiliar, these come with spicy prawn filling. In Singapore they become more popular during festive seasons. I started making them when I was in my teens. While they disappear fast, they take twice as long to make. That’s alright by me, I find it extremely therapeutic. Get the recipe! I’m a snacker. I just love to snack. Crisps, rice crackers, cookies, nuts, mandarins, just to name a few of my favourites. When I was little I used to wait for my mum at the front door for when she gets back from work. Grandma always made sure that I’m all showered and in my clean clothes before mum got back. I would be so delighted when I see her come round the corner. After a hug and a kiss the first thing I would ask her was “have you got a snack for me?”, as she reached into her bag, I would be in cloud nine. I got to enjoy my treat while watching my cartoon shows. What could be better. But, there were times when she didn’t get me any treats and boy oh boy, the feeling was terribly painful. I would sulk so hard my cheeks would hurt and I would get really stroppy too. That was how much my treats meant to me. I didn’t care what it was, I just wanted that moment, to indulge. Read more & get the recipe! Chicken wings. Now these I love. Deep fried, grilled or barbecued, I don’t really care. Love them just the same. If they’re not in the top 3 most loved finger food, I’ll be really shocked. When I was in primary school, almost everyday I would have chicken wings during recess. Back then they only cost 30 cents each. A big dollop of sambal and I’d be in heaven. Now they are precious like gold in my stocks. They are never amiss in our fridge. What else do I turn to for that quick fix meal but chicken wings and they never fail to please me. Read more & get the recipe! Doughnuts. What can I say about them. You either love them or hate them. Yes yes I get it, they’re deep fried so that basis alone is enough to make the health freaks turn their heads away. I’m with you, not a doughnut fan myself, although I used to love them when my Grandma made them. Well, I love everything she makes, even now if she makes her humble sugar doughnuts I would stuff it down my throat without thinking twice. But somehow, I still don’t get excited by myriad multi coated and stuffed, fancy named doughnuts. Having said that, I don’t want to give these warm delights the cold shoulder. I’m quite determined to give their baked relatives a go. I never knew doughnut pans existed till recently. Doughnut pan. How brilliant. Now let’s make room for doughnuts in my kitchen, shall we? Any excuse for a new kitchen gadget, I say. Read more & get the recipe! Asam Pedas or spicy tamarind gravy is one of the favourite dishes amongst the Malays in Singapore and Malaysia. A dish so understated and yet complex in its taste. The one we love but take for granted when it makes it to our dinner table. It has never occurred to me how complex this dish really is until I put myself to the test. Countless of times I stood by my mum watching her cook this and never a time did it seemed hard to achieve. Like most other Malay and Asian dishes, it’s the trick of getting the balance of flavours right which is the hardest skill to master. Read more & get the recipe! The nerves. I just could not get rid of the nerves. I kept avoiding making this for months. One day, I thought to myself, “surely it can’t be that hard?”. Finally I braved myself into the kitchen and got started, only to realise I did not have semolina. The panic and doubt started to set in. Is this a sign, that I should not have bothered trying my hands at this? No, I am determined this time. We ventured out in the rain to the nearest shop and we’re in luck. I was never happier to see a bag of semolina in my life. Read more & get the recipe! Nasi Lemak. What not to love. In Singapore we eat this for breakfast, lunch, dinner and supper. At the popular stalls, the queues are endless. The rice and sambal (chilli paste) are the heart of this dish. Get them right, you have a winner but get them wrong it’s almost unforgivable. I must admit, making the sambal was the hardest for me. I have seen my Mum prepare this sambal countless times and I’ve also helped her with it but when it was time for me to replicate it all on my own, I was out of my depth. My first try was quite a disaster. In the middle of it, I had to ring Mum to go through the steps again. The tricky bit to this sambal is to get the balance of the sour, sweet and spicy right. You also need to have a lot of patience. Now after several attempts, I’ve gotten better. Although not quite perfect but it’s close enough. Read more & get the recipe! Sunday breakfast… It’s such an affair isn’t it, the Sunday breakfast. Breakfast is appreciated much more on Sundays. I’m a really crappy morning person but have met friends for breakfast at 7.30 in the morning. Now, why would I do that? We don’t have kids, so that means I have the luxury of waking up whenever I like to, but for the Sunday breakfast, I am happy to, almost felt obliged to. Read more & get the recipe! Singapore noodles. What is that? I was born and raised in Singapore and yet I was so puzzled when I came across this noodle dish called Singapore noodles on the menu in a Chinese restaurant, here in Sydney. Then I asked my fellow Singaporean friends who had no clue either. And over the years I have come across this noodle dish over several blogs, even those in England. My only conclusion is, Singapore noodles is what we call yellow egg noodles. Well, I found pre-packed yellow egg noodles in the supermarket called Singapore Noodles, so that has got to be it. read more & get the recipe! Has anyone ever tried one of those home kit mushroom farm? We did. We just love mushrooms and they’re definitely one of those must haves on our shopping list. So last Spring, when we were at the nursery we came across the “Grow your own mushroom farm” box and we thought we ought to give it a try. With much excitement, we read the instructions and set up the kit accordingly and left it in our laundry room. Day by day we would peek into the box and gave it a little spray of water and made sure that the peat moss was kept moist. Before we know it, 3 weeks have gone and there is no sight of any mushrooms. They should have been formed after 21 days. Then 6 weeks went by, still nothing and after about 9 weeks we gave up and returned the box. It was such a huge disappointment to both of us. I would like to give this another go. If any of you have tried this, I would like to hear all about your mushroom growing adventures and a few little tips. Read more & get the recipe! Can you imagine celebrating a birthday without a cake? I know! Tell me about it! Last year the husband conveniently left out the cake on my birthday. I was not a happy camper. What’s the big deal, some of you say. It is to me, I heart birthday cakes. You can’t sing someone a birthday song and not have a cake with it. What is the birthday person supposed to do at the end of the song if there is no cake? That would be such an anti climax. So this year, I have asked for a cake. Not a bought cake. No, that would be too easy, I have asked the husband to bake me one. It was between Black Forest and Pineapple Upside-down. As I’m not such a huge fan of cream, which a Black Forest has quite a bit in it, I chose the Pineapple Upside-down cake. And also I thought it would be the easier option for the husband, who has never baked a cake before. Read more & get the recipe!